Shakespeares Timeline of Life: There are a few facts known with certainty about William Shakespeare’s life and death. The best-confirmed facts are that Shakespeare was baptized on 26th April 1564 in Stratford-upon-Avon in Warwickshire, England in the Holy Trinity Church. He got married to Anne Hathaway at the age of 18 years with whom he had three children. He was an actor, playwright and theatre entrepreneur in London and owned property in both Stratford and London. He breathed his last on 23 April 1616 at the age of 52. William Shakespeare was born in Stratford-upon-Avon, a small country town. He was the son of John Shakespeare, a successful glover and alderman from Snitterfield, and of Mary Arden, a daughter of the gentry. They lived on Henley Street. The date of his birth is not known, but his baptismal record was dated 26 April 1564. This is the first official record of Shakespeare, as birth certificates were not issued in the time of Queen Elizabeth. Nevertheless, this date provides a convenient symmetry because Shakespeare died on the same day in 1616. It is also the Feast Day of Saint George, the patron saint of England, which might seem appropriate for England’s greatest playwright. He was an English poet and playwright, widely regarded as the greatest writer in the English language and the world’s pre-eminent dramatist. He is often called as England’s national poet and the “Bard of Avon”. His surviving works, including some collaborations, consist of about 38 plays, 154 sonnets, two long narrative poems, and several other poems. His plays have been translated into every major living language and are performed more often than those of any other playwright. Shakespeare had seven siblings, namely, Joan (born 1558, died in infancy), Margaret (1562-1563), Gilbert (1566-1612), Joan (1569-1646), Anne (1571-1579), Richard (1574-1613), and Edmund (1580-1607). Shakespeare’s father, prosperous at the time of William’s birth, was prosecuted for participating in the black market in the dealings of wool and later lost his position as an alderman. 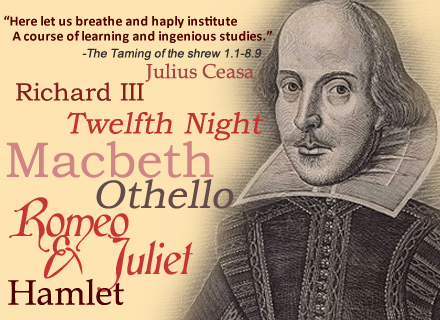 Shakespeare probably went to King Edward VI Grammar School in Stratford from the age of seven. It was free to male children in Stratford and it is presumed that the young Shakespeare attended although this cannot be confirmed because the school’s records have ceased. While the quality of Elizabethan era grammar schools was uneven, the school probably would have provided an intensive education in Latin grammar and literature reinforced with frequent use of corporal punishment. As a part of this education, the students would likely have been exposed to Latin plays, in which students performed to better understand the language. One of Shakespeare’s earliest plays, The Comedy of Errors, bears similarity to Plautus’s Menaechmi, which could well have been performed at the school. Although there is no evidence that he received a university education. On 29 November 1582 at Temple Grafton near Stratford, the 18-year-old Shakespeare married Anne Hathaway, who was 26 and was already pregnant at the time of her marriage. Shakespeares Timeline of Life- On 26 May 1583 Shakespeare’s first child, Susanna, was baptized at Stratford. In 1585 he was blessed with twin children, a son, Hamnet, and a daughter, Judit. 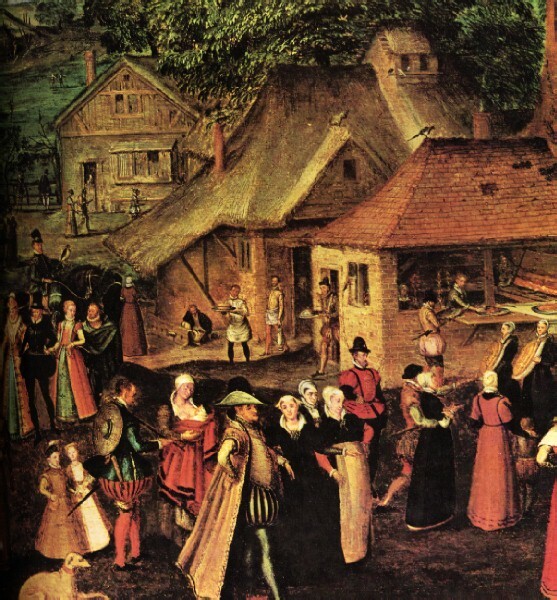 Hamnet died in 1596, Susanna in 1649 and Judith in 1662. 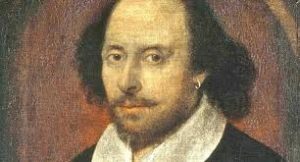 In Shakespeares Timeline of Life, After his marriage, Shakespeare left few traces in the historical record until he appeared on the London theatrical scene. Indeed, the period from 1585 (when his twin children were born) until 1592 is known as Shakespeare’s “lost years” because no evidence has survived to show exactly where he was or why he left Stratford for London. A number of stories are given to account for Shakespeares Timeline of Life during this time, including that Shakespeare fled Stratford after he got in trouble for poaching deer from local squire Thomas Lucy, or that he wrote a scurrilous ballad about him. Shakespeare’s first biographer Nicholas Rowe recorded both these tales, stating that he wrote the ballad after being prosecuted for poaching by Lucy. John Aubrey says that he worked as a country school teacher and Rowe that he minded the horses of theatre patrons in London. Although there is no documentary evidence to support any of these stories and they all were recorded only after Shakespeare’s death.